Welcome to my stop for STU STORIES. I am excited to be part of this tour. This was such a fun story....or stories :). Although the whole time I read this book all I could think of was my son...hehe. 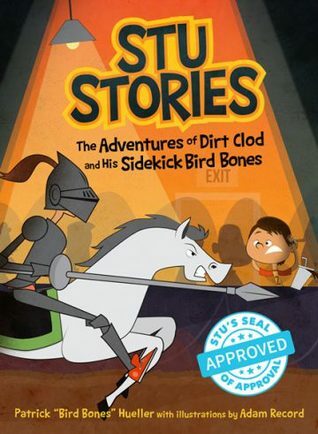 I can see him doing some of the things Stu and Bird Bones do in this book. Stu wanted to become legendary so he tries new ways all the time to make himself that way. With titles to the chapters like "Stu Goes Undercover", and "Stu's Head Falls Off", you can imagine the shenanigans these two boys get into. I think poor Bird Bones was talked into participating a lot. Doesn't that seem to always be the way? One a leader, one a follower. Some of their "tricks" were quite funny. For example Stu disappears in the middle of class one day. His teacher freaks out calls the Principal to report a missing student. While the teacher was freaking out Stu slips right out of his hiding place and right back to his seat. The way it happens is just funny. It's what I picture any 13-14 yr old doing :). Then there is the saying "it's all fun and games until someone looses an eye". I will leave the book for you to find out what I mean. Happy Reading! Tired of mixed messages, confusing signals, and of playing the dating game? Dating expert Zack Oates has experienced it all in this comical guide that will keep you happy and laughing. Perfect for audiences in dating situations of all kinds, these encouraging steps will help you find your celestial mate. I am not in the dating world any more which I am very thankful for. I decided to join this tour because I do have a daughter that is in the dating world. I thought it would be fun to read the "mans" point of view on dating. This book was a lot of fun. It was like Oates was sitting in the room with you having a discussion on how he got to where he is today. It's entertaining, and a great "guide" to dating. This book has so many great ideas for dating. There are so many things in this book I tell my kids all the time, and it was fun to see another perspective. He is so funny in this book. One of his headings says "Dating is like passing gas - if you try too hard, it hurts". I laughed so hard. "Don't worry why they waited an extra five minutes to text you back, but just be grateful you are texting. Enjoy the process and try not to get caught up in the details" (why do girls always make everything so important while dating, and forget to enjoy the ride). "...if you never leave the safety of the friend zone, you'll never have anything but friends." (too many kids now a days just want to "hang out" instead of breaching the "friend zone"). There is a quote in the book from Tony Robbins that Oates heard in a conference. He was talking about a change of perspective...."...Nothing in the world changed in the last five minutes besides your perspective. The positive attitude to succeed is completely up to you"
I really enjoy the date ideas at the end. I am an old married woman but never too old to date my husband. Plus, that is part of the "working" on my relationship. This really is a great book. Even if you are not in the dating world anymore, there are some great ideas on ways to work on your relationship. Marriage is work. Sometimes it's hard and sometimes it's not, but it's work. I am sure it took all of us going through many "duds" to get to our "Prince Charming's". Take some advice from Oates, and read this book. You will enjoy it so much. Zack Oates is an entrepreneur, hot tubber, and blogger. He has started six businesses, which have been featured in Wired Magazine, the New York Times, and the Wall Street Journal. 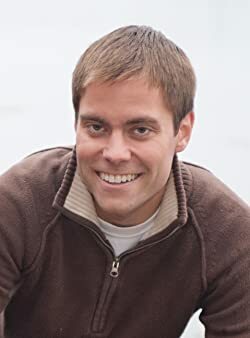 He has an MBA from BYU with an emphasis in innovation and a bachelor’s in advertising and marketing. He was voted one of the top 100 entrepreneurs by VSpring Capital and received first place at the largest university business plan competition in the world (over 800 teams participated). After living in Ukraine for two years serving a mission for The Church of Jesus Christ of Latter-day Saints, he started a nonprofit in 2008 called Courage to Hope, which works with victims of domestic violence in Ukraine. In addition to being a finalist and then “Love Guru” on the Mormon Bachelor and Bachelorette, he has an inspiration and dating blog called Bowl of Oates.. But this girl is much changed from the one Nico knew. She's thin and drawn, where Sarah had been golden and athletic; timid and unsure, instead of brash and competitive; and strangest of all, sweet and kind, when she had once been mean and abusive. Sarah's retrograde amnesia has caused her to forget almost everything about her life, from small things like the plots of her favorite books and her tennis game to the more critical—where she's been the last four years and what happened at the park on the fateful day she vanished. 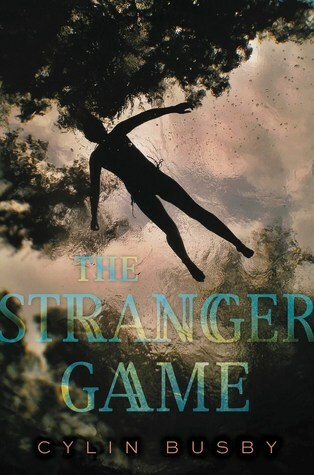 Despite the happy ending, the dark details of that day continue to haunt Nico, and it becomes clear that more than one person knows the true story of what happened to Sarah. . .
Nico's sister Sarah disappeared 4 years ago. Her parents were devastated, but Nico had not determined if she was sad or happy about it. Her sister Sarah was horrible to her. Treated her like crap, always demeaning her. Just an all around mean girl. Through the years Nico and her parents had been though a lot. Always being called to the Police Station to identify a body, or getting phone calls saying there was a sighting of Sarah. Each time Nico's parents would take her out of school to go with them "just in case" it was Sarah. Life was an emotional roller coaster for Nico and her family. Then one day, Nico's parents get a phone call that Sarah has been found. When she came home Nico wasn't quite sure what to think. So many things were different about Sarah. Then another roller coaster of emotions come over the whole family again. Nico's mom and dad wouldn't let either of them out of their site, but wanted Sarah to have whatever she wanted. Trying to make up for the 4 years she was gone. This story is so very interesting. It went in a totally different direction than I thought it would, which surprised me, and I love it when books do that. I am sure others who reviewed this knew how it was going to end, but not me. I was kind of shocked. I really enjoyed listening to this book. It was a fast listen. I know that sounds funny, but it really was. I hope that if you choose to read it you like it as much as I did. Happy reading! 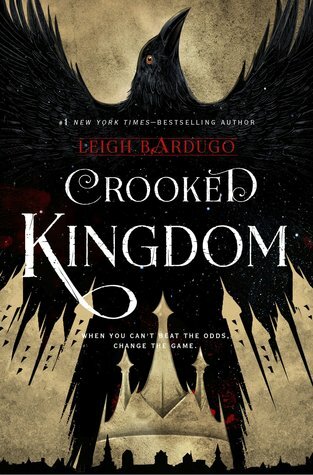 This installment in the Six of Crows series is so, so, so good. We get to revisit all of these wonderful characters. Kaz and his crew of bandits :). My favorite bandits ever. In their scheme to get the money they are owed, Kaz comes up with another plan that ends up being dangerous (of course), and has lots of moving parts that could go wrong. Which is when this book gets really, really intense. I was on the edge of my seat the whole time listening to this book. It took me longer than planned to finish, but that was because I had some books that "had" to be read. I would listen to this in my car, when I was getting ready in the morning, and at night when every one was asleep. I took every opportunity between my "must" reads to listen to this book. There is so much action in this books, and I grew to love Kaz's crew even more with this book. They may have their issues, but they always have each others backs. True loyalty, which makes their band so much better. There is dancing on rooftops....okay more like fighting, but dancing sounds better ;). Fighting, blackmail, kidnapping, and non stop action. You will really enjoy this series!!! It was fan freaking tastic. Awesome. 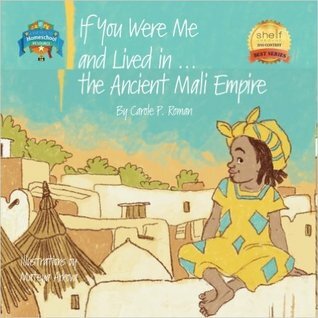 Join Carole P. Roman as she travels back in time to visit the exciting Ancient Empire of Mali in Africa during the 1300s. Learn about the varied customs and cultures. Travel to the past to discover what you would eat and do for fun. See the land and its rich history through the eyes of a youngster like you. Don't forget to look at the other books in the series so that you can be an armchair time traveler. Another wonderful installment in Roman's series of books. I have to admit I learned a lot reading this book. I like to think I know more than I do :). No, there were just some really interesting things in this book. It's so fun. Again, these books are so great for young readers who want to learn more about different cultures. I myself have learned so much myself. The Ancient Empires fascinate me and they always have. Take some time and pick these up for your kids. They are fun and informational. I liked how at the end of this book there is an explanation of all the "important figures" during this Empire. It's awesome. 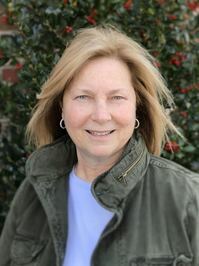 Carole P. Roman is the award-winning author of the Captain No Beard series. 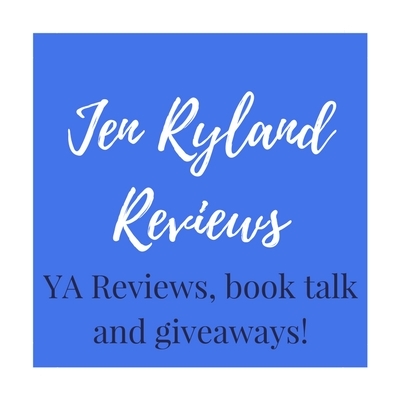 Both Captain No Beard-An Imaginary Tale of a Pirate's Life and Captain No Beard and the Aurora Borealis have received the Kirkus Star of Exceptional Merit. The first book in the series was named to Kirkus Reviews Best 2012. Captain No Beard and the Aurora Borealis has just been named to Kirkus Reviews Best of 2015. Each book in the series has won numerous awards including the NABE Pinnacle Award, ERIK Award for 2013, ForeWord Review Five Star and Finalist in the Book of the Year, and Reader's Views Children's Book of the Year 2013, Shelf Unbound Best Series, Back to School Resource Winner, IAN, National Indie Excellence Award, MoonBeam Award for If You Were Me and Lived in...Scotland. She is also the author of the award-winning non-fiction culture series If You Were Me and Lived in...exploring customs and culture around the world. She co-authored Navigating Indieworld: A Beginner's Guide To Self-Publishing and Marketing Your Book, which earned a 5 Star ForeWord Review Clarion Review. Roman lives on Long Island with her husband and near her children and grandchildren. 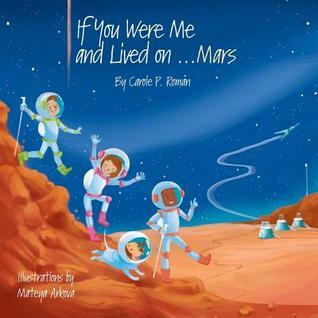 Join Carole P. Roman when she blasts off to colonize the planet Mars, in the newest book of her informative series. Learn about how life would be living on the Red Planet. Travel to Olympus Mons, the largest volcano in the solar system. Look into the sky and watch Phobos and Deimos, Mars' two moons. 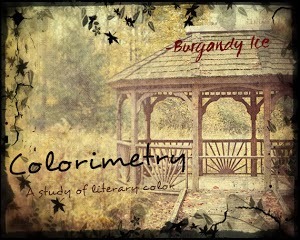 Discover what you would wear, and how the seasons change. See Mars through the eyes of an adventurous youngster like you and understand what life is like in a trip of a lifetime. Don't forget to look at the other books in the series so that you can be an armchair traveler. I have thoroughly enjoyed reading Roman's stories. This one is no different, except its in space. I love all the fun facts in the book. They are great for young readers who are interested in other cultures and like to explore. Although, after reading this one life on Mars sounds like it could be very interesting place to live. It would take lots of preparation and you have to plan on being there a long time, but if it was really a thing we could do I think I would want to try it. This one is super fun to read.